October 26, 2018 - Efficient use of finite natural resources is a necessary condition for sustainable economic growth. Yet, over the last decade, material productivity measured as economic value that enterprises extract from every ton of material has not been growing. The business community shares a deep concern that material productivity is lagging behind the tremendous gains in labor and energy productivity. It is a worrisome symptom of misaligned policies. We call on the G20 to focus the dialogue with business on correcting this mismatch. International public-private dialogues to support sustainable management of the world's resources can bridge the disconnect between the global challenges and local policies, leverage private sector's leading role and better inform public policies. The dialogues should increase the understanding of the potential of different governance approaches and reveal the shortcomings of the currently dominant policies. Any constructive dialogue must be based on analysis of economic data, scientific assessments of technological solutions best available techniques and the realities of doing business in diverse markets. Today rules, regulation and laws are designed to sustain a linear economy rather than value retention. For example, customs rules and tariffs inhibit and in some cases make the use of reusable packaging cost prohibitive. Public purchasers should aim to make their purchasing as sustainable and resource efficient as possible by using domestic or - wherever possible - international standards and eco-labels for product performance. The public sector should be a role model for resource efficient purchasing, leading the way for other sectors to follow. The removal of trade barriers to ensure global movement of (used) goods must not result in dumping of used goods from one part of the world to another. The explosion in the production and use of electronic goods must be accompanied with investment in value retention to eliminate electronic waste. To support circular economy in the IT industry, regulators must distinguish between the illegal movement of waste from the much-needed value recovery. In a sustainable economy, one company's by-product is another company's input. Since resource inefficiency may represent a credible supply risk to long-term business operations, one option countries can pursue is to require companies to disclose environmental, social and governance (ESG) performance if the information would be of interest to investors. These disclosures ensure capital investors seeking to find resource-efficient businesses can do so but developing this information may be costly and the data may be unavailable in some cases. Similarly, while green bonds are mostly focused on energy, land-use, and infrastructure investments, these instruments can ensure new investment meets certain standards, assurance, and resource efficiency certifications. However, the additional costs incurred by industry to certify their debt as "green" hinders the growth of this solution. Broader, more consistent global policies are also needed to develop independent and uniform standards, and to monitor actual environmental compliance and outcomes. Infrastructure investments require large up-front costs, while benefits accrue over the long term. Urban infrastructure typically lasts for decades, and as a consequence, infrastructure built today may "lock-in" efficiency levels for periods lasting decades into the future. Infrastructure choices that hinder resource efficiency practices may create a long-term and expensive obstacle for business to overcome. The procurement for major infrastructure projects can be used as a viable vehicle to improve resource-efficiency practices when long-term planning considers environmental and resource usage goals. Private sector is a key change agent that will lead in implementing sustainable resource management. Participatory design approach, such as industrial symbiosis, contributes to the efficiency of the management policies' implementation. Our shared objective is to find answers to the major policy question: how to develop substantial incentives for the private sector to overcome the costs of transition to sustainable management of the world's dwindling resources. While the carrying capacity of the planet is unknown, no one - and least of all business leaders - can afford to test its limits. Our capacity to contribute to wealth creation around the world depends on working together to transition to a sustainable path using all the tools of the information age and all the ingenuity of market forces. 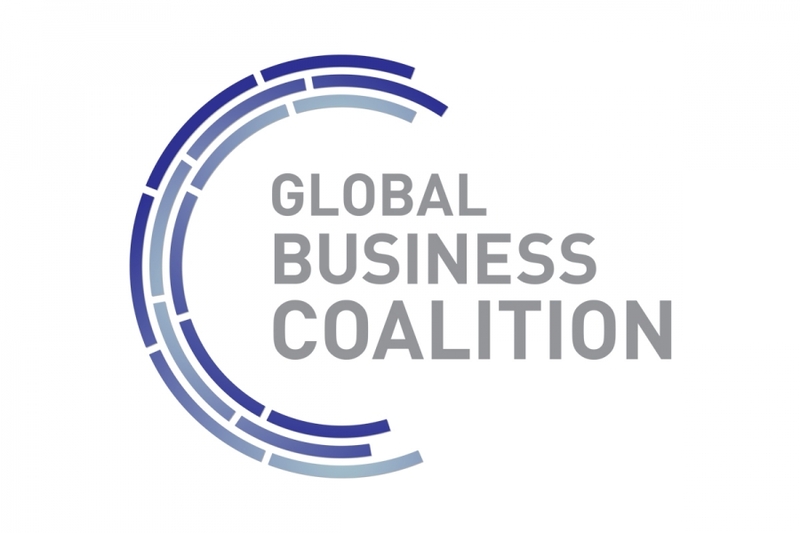 The Global Business Coalition brings together leading independent business associations from the major world economies and advocates on behalf of more than 6.8 million small, medium and large companies. GBC, established in 2012, operates as a worldwide platform of exchanges between national business communities, and aims at building consensus and developing common positions on issues critical for enterprises. Through its broad-based representation, GBC engages policy-makers at a global scale and advocates policies that contribute to growth and job creation at regional and international levels.